Bob Hogan attended Florida Institute of Technology, graduating with honors and earning BS degrees in Chemistry and Chemical Engineering. He also graduated from The College for Financial Planning earning the Certified Financial Planner (CFP®) designation. Bob has spoken before numerous audiences including professional financial advisors, CPAs, corporate executives and public investment seminars. Bob has also been invited to write for financial publications and is a member of the Financial Planning Association. Bob is a past member of the Board of the Monmouth Unit of the American Cancer Society, and is the past President of the Estate and Financial Planning Council of Central New Jersey. He has also been the chairman of the Monmouth County Unit of the American Cancer Society’s Special Contacts Committee, and has served on the Unit’s Legacy and Planned Giving Committee. Bob is married and has two children. 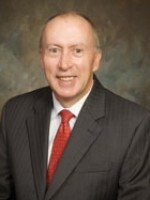 Timothy is one of the two owners, and Senior Planners, with the Hogan-Knotts Financial Group, Inc. He focuses on working with pre- and post-retirement individuals and couples so that they don’t run out of money before they run out of time. Tim has been a CERTIFIED FINANCIAL PLANNER™ for almost 25 years, earning a post-graduate certificate in Financial Planning from the College for Financial Planning in 1988. Timothy is active in both his professional and personal communities, and is currently a member of the Board of Directors for the Financial Planning Association of New Jersey (FPANJ). Through his work with the FPA, Tim has continued the partnership between Junior Achievement of NJ and the FPANJ to promote financial literacy for youth in the state. He has also helped implement Financial Planning Days, which gives members of the local communities in Newark & Elizabeth an opportunity to obtain free financial planning advice. In order to stay apprised of developments in estate & income tax law, as well as insurance, trust work and investing, Tim is a member and past President of the Estate & Financial Planning Council of Central New Jersey. Tim is usually a once-per-year speaker on some topic to this group as well. 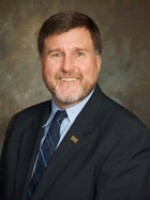 Timothy has also been a speaker to many professional and lay audiences on the subjects of financial planning; has published a column on financial planning in a local newspaper; and served as an adjunct faculty member at Monmouth University in New Jersey, teaching CFP®® course work on the subject of financial planning. Timothy is serving, or has served his community in the past, on the Boards for the Monmouth Council of the Boy Scouts of America, the Monmouth Unit of the American Cancer Society, the Central Jersey Chapter of the International Association for Financial Planning (past President), the West Long Branch, NJ First Aid Squad (past President), the Red Bank, NJ First Aid Squad and the West Long Branch, New Jersey Chapter of Lions International (past President). Mr. Knotts is a NJ State Certified EMT-B, a P.A.D.I. Certified Rescue S.C.U.B.A. diver, and an FCC Amateur Radio General Class License holder (KC2OMZ). Timothy is married now for almost 30 years, has four children, and has made his home in NJ since 1985. Tim graduated with honors from the University of California, Davis, in 1984 with a BS degree in Environmental Planning and Management. He spent the first two years after graduation working with the National Park Service, U.S. Department of the Interior. Certified Financial Planner Board of Standards Inc. owns the certification marks CFP®®, CERTIFIED FINANCIAL PLANNER™ and federally registered CFP® (with flame design) in the U.S., which it awards to individuals who successfully complete CFP® Board’s initial and ongoing certification requirements. 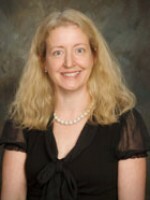 Juliane Whitmore Pendell is a lifelong resident of Monmouth County, New Jersey. She graduated from Red Bank Regional High School in 1983. She also received an Associate degree from Widener University in Chester, Pennsylvania and a Bachelor’s degree from Georgian Court College in Lakewood, New Jersey. In 1996, Julie completed the financial paraplanner course from The College for Financial Planning in Denver, Colorado earning the Registered Paraplanner (RP) designation. Julie has been with The Hogan-Knotts Financial Group as a paraplanner since 1995. She lives in Red Bank with her three children, Scott, Mark and Allison.